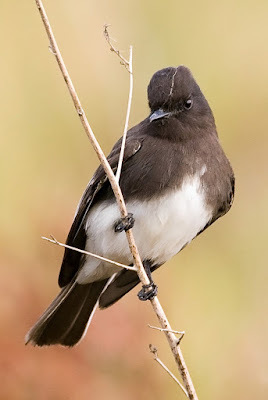 I photographed his Black Phoebe yesterday morning at the Palo Alto Baylands. He was an active little guy but he did manage to stay still for a brief moment. I find it very relaxing. Its great to spend a couple of hours with very few people just waiting for a bird to return to a particular spot or look in a particular direction. It has a Zen quality to it. Technical Specs: Canon 1D3, 500mm f/4 + 1.4x TC (700mm equiv. ), f/5.6, 1/320, ISO 800.